FAQ: Is it possible to change the points symbology in batches in Business Analyst Web App? Is it possible to change the points symbology in batches in Business Analyst Web App? After adding points to a map in Business Analyst Web App, sometimes the points symbology must be changed to another symbol or a custom symbol. Business Analyst Web App allows changing the point symbology one at a time by configuring the Symbol setting. However, it is not possible to change the symbology in batches. In the Business Analyst Web App project, click Share map to ArcGIS in the Tool palette. In the Share Map window, specify the details of the web map to be shared to ArcGIS Online, and click Share. The web map is shared to ArcGIS Online and located in the BA - My Maps folder. 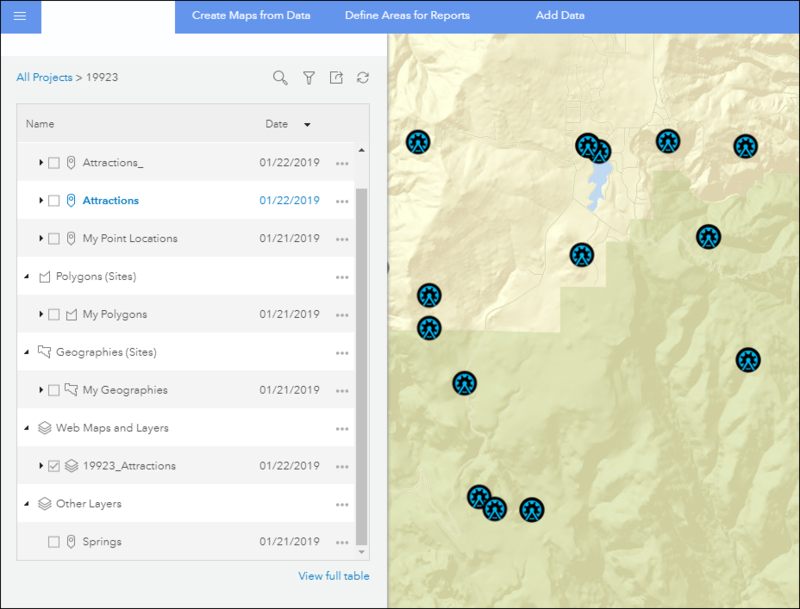 Open the web map in ArcGIS Online Map Viewer to change the points symbology. Refer to Change style workflow for steps to do this. Save the changes. Note: To use a custom image as the symbology, click Use an Image in the symbol selector dialog box, and enter the image's URL. In the Business Analyst Web App project, click Add Data > Web Maps and Layers. 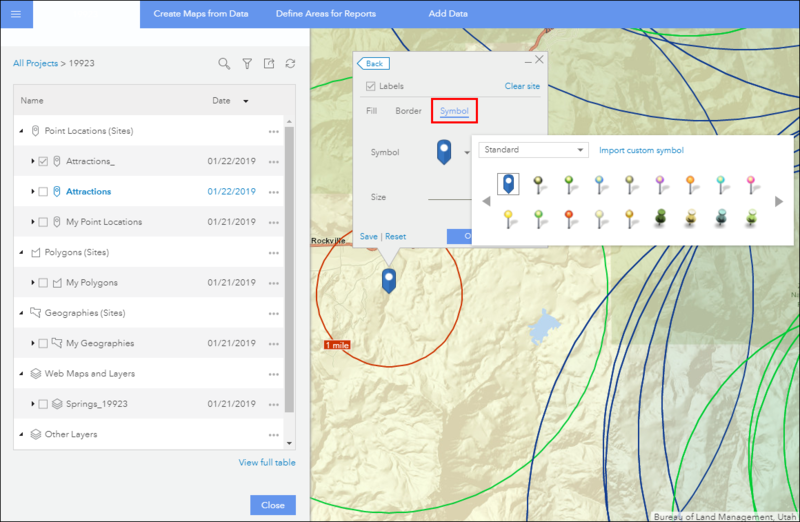 In the Web Maps and Layers dialog box, select the web map containing points with the new Symbology from the BA - My Maps folder, and click Add to add the web map to the project. The image below shows the added web map displaying points with new symbology in Business Analyst Web App. Business Analyst Web App: How can I get my data into the Business Analyst web app? FAQ: Is it possible to ungroup clustered points in Esri Business Analyst Web App?